In the casual gaming world, Diner Dash ( ) is like the Harry Potter books. Its effects are widespread, its detractors and imitators numerous, but mainly, its influence is irrefutable: the Diner Dash series has been downloaded over 550 million times. On Friday, PlayFirst, announced that Diner Dash: Grilling Green is available for the iPad for $5. 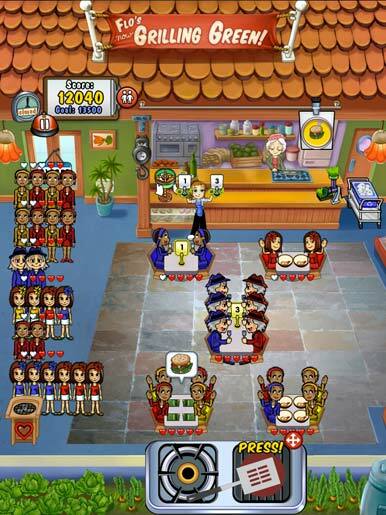 This new iPad title begins an exciting new chapter in Flo’s dining services. 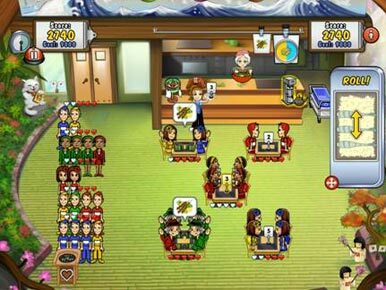 According to PlayFirst’s press release, Diner Dash: Grilling Green features a new multi-touch gesture-enabled game mechanic built for the iPad that allows players to “cook and serve simultaneously.” The “Touch Cooker 3000” is a gesture-based cooktop that “enables players to chop, stir, pinch and flip menu orders.” Featuring high-end graphics and the same winning time-management formula, PlayFirst hopes to make a successful transition to the iPad platform. “The Diner Dash: Grilling Green App for iPad is a whole new world of time management gameplay made possible by the magical new iPad. The use of Multi-Touch enabled gestures creates a truly hands-on and immersive experience for players,” said Mari Baker, president and CEO of PlayFirst. As suggested by the game’s title, Diner Dash: Grilling Green features a healthy-eating theme. Flo, the game’s protagonist, is on a mission to serve the citizens of DinerTown healthier, greener foods. With the help of the Touch Cooker 3000, Flo has a whole new bag of tricks to quickly serve her hungry customers while at the same time balancing serving the food, cleaning the dishes, and seating the customers. If you want help in the frenetic fun, the iPad app has another innovation: the ability to enlist a friend to help on a shift in any screen orientation. As the flag bearer of casual games, Diner Dash’s success on the iPad will be something to watch. Playfirst has built the game for the platform rather than merely porting over another version of the game, and by taking the iPad seriously, PlayFirst hopefully will inspire other casual game developers to make the leap to this next generation of gaming.